do it yourself divas: Shabby Apple Dress GIVEAWAY!!! We were beyond thrilled when , the fabulous and fashionable online women's store, contacted us and asked if we would like to host a giveaway on our blog. Heck yes we would!! One of our lucky readers will win the grand prize of a $75 dollar gift card by simply entering! This is an AMAZING gift, and allows the winner to choose anything they want from the entire Shabby Apple website! There are HUNDREDS of dresses, blouses, skirts, accessories and more that you can choose from! To be eligible to enter this giveaway you MUST "like" Shabby Apple on Facebook. Contestants must have a USA shipping address to be eligible as well. You may enter up to two times, but MUST complete number one before completing number two. 1. "Like" Shabby Apple on Facebook. Click HERE to like Shabby Apple on Facebook. Once you have "liked" Shabby Apple on Facebook come back to our blog and leave a comment telling us that you have done this. You MUST also tell us what your favorite Shabby Apple Dress or item is in order to be eligible for this First entry. 2. 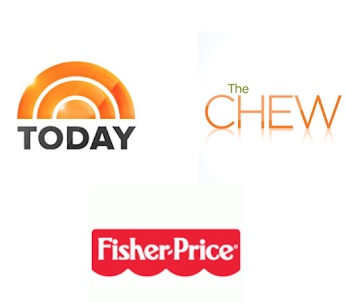 "Like" DIY Divas on Facebook, or join us on Twitter. You MUST also spread the word by posting about this giveaway on facebook, twitter or your own blog to be eligible for this Second entry. Come back to our blog and leave us a comment telling us that you have done this. That's not all wonderful readers. Each and every one of you get 10% off anything and everything you buy from Shabby Apple for an ENTIRE month! Simply enter this code: diydivas10off at the time of checkout. I like Shabby Apple on fb and my favorite dress is the Rhapsody dress. I love blue. My fingers are crossed! Thanks for the giveaway. Liked on facebook and I love the Ahoy dress! I like you on Facebook and I shared about this giveaway. I like Shabby Apple on FB! And my favorite dress is a tie between Fifth Avenue and Bonheur! I also LOVE their bathingsuits... especially now after having a baby! I'm a follower on Twitter and I tweeted about this giveaway!!! I love the Garden Isle dress, and I like Shabby Apple on facebook! I am a follower on facebook and I shared your link. I liked Shabby Apple and I would wear anything from their Mad Hatter collection. And I also love their Serenade dress! Reposted your link on fb on my fb account. I totally want to win this!!!! it seems my first post didn't post! Yikes! I 'Liked" Shabby Apple on FB, both as myself and as Ranch Mama. I am now following You, on FB and Twitter. Although I though I had already done that. I already display your posts on my blog and follow you on pinterest. I posted my dress pick on pinterest. But really, I love them all! Thanks! Megan! I didn't realize you had such an adorable blog and I LOVE Shabby Apple, especially their vintage swimwear collection! I will totally spread the word about your blog, you and your sister are so talented! I liked Shabby Apple and I also liked Do It Yourself Divas on FB. I have looked at Shabby Apple dresses for years. I have never been able to afford one but I always dream of them. I have many favorites but I just saw one last night that I loved. It's the desert modeern Jersey dress and I also love the Trade winds dress. Love em all! I like Shabby Apple on fb and I adore the Lima dress! Liked FB. How could I choose one thing! There is so many cute things. I am loving the classic Bon Voyage dress though. I've had my eye on "One for my Baby" for a very long time. What can I say, I'm a sucker for the peter pan collar. Don't worry, I just posted this on my blog: jandbmorse.blogspot.com, and tweeted it (@brytonmorse) Here's hoping! liked them on FB! I LOVE their swim collection! every. single. one. I'm loving heart of me right now. I also liked Shabby Apple on fb. Thanks for a great giveaway. I liked Do It Yourself Divas on fb. Love your blog and I'm loving "Heart of Me" from Shabby Apple. Thanks, Divas! I also liked Shabby Apple on Facebook. I am in love with the "Gray Fox" dress! Thanks for a fabulous giveaway, I love your blog! Liked both on FB and anything maternity would be great!!!! I 'Liked' Shabby Apple on Facebook. And I really like Martha's Vineyard. Their dresses are SO cute!! I posted it on my Facebook. I like SA on FB! and super love the Bonheur Dress! I like Shabby Apple on Facebook and I adore the Pina Colada dress (in Jade). Liked on FB and love the Heart of Me dress!! I like Shabby Apple on Facebook. My FB name is Vicki Sh. I like their dressage dress! I already like DIY Divas on FB - I posted about the giveaway on my FB page! Yay for awesome giveaways! Thanks, you two! I like Shabby Apple on Facebook and I love the One For My Baby dress! Fun givaway! I have liked shabby apple on facebook! I like Shabby Apple on Facebook and I love the Rodeo Drive dress! I liked Shabby Apple on Facebook and my favorite item is the Crouching Tiger dress. I like Shabby Apple on Facebook, and I love the Da Vinci dress! I liked shabby apple on fb. Love the Champs Elysees... Would wear it everyday of the week! I like Shabby Apple on Facebook! My favorite dress is the Red Queen! I liked Shabby Apple on FB and my favorite dress is the RED FOX. It is soooo cute! I also liked DIY Divas on FB and posted, "A chance for free dress from Shabby Apple on the DIY Divas website!" I liked Shabby Apple and my favorite dress is I'm Late! I'm Late! If I won, I would love the beauty mark dress! Thanks for the chance! Liked on FB and I love so many it's hard to chooswe a favorite! I love the Overboard dress, but unfortunately it's not available in my size...Serenade is really cute too!!! I am folllowing SA on facebook. i love the Alice dress among many others. I "liked" SA on fb. I liked shabby apple on FB and my favorite dress is The Calooh! Callay! Dress I love the bight colors! I like SA on facebook and I love the Ahoy dress!! I adore the Viola swimsuit! I liked Shabby Apple on fb. My favorite dress on their website is Mauna Kea! I "liked" Shabby Apple and DIY Divas on Facebook, and I'm following DIY Divas (@Mama_Wolfe) on Twitter, where I also tweeted the giveaway! Omg, I love so many of these dresses (VP is to-die-for)! With the help of my husband, though, I picked one: Bon Voyage! So classic! I like the Bon Voyage dress. 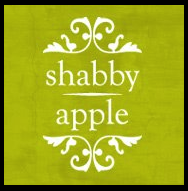 I "like" Shabby Apple on Facebook. My favorite item is The Red Queen dress. Thank you for offering such a lovely and generous giveaway! I follow you on Twitter and tweeted the giveaway. I like Shabby Apple on FB and love the Racquet Club dress! Follow you on twitter and retweeted your tweet about the contest! I like Shabby Apple on FB and adore the Da Vinci dress! I liked Shabby apple on Facebook and I like Syncopation or Aphrodite best! I like the Shabby Apple FB Page. Gring on the DaVinci Dress!!!! I like Shabby Apple on Facebook (Danielle Knapp) and I love the Ballerina dress. I "Like" Shabby Apple on Facebook (FB name: Madeline Brubaker) and my favorite dress is the Pont Neuf. I love the headliner dress! I like Shabby Apple on Faceboook, and I'm IN LOVE with that purple swimsuit! I've been a fan of yours forever and I'm now a fan of Shabby Apple! I'm 18 weeks preggo and was just thinking what it would be like to have some fashionable maternity clothing...hope I win!!! And I LOVE the Lotus (Padmasana) tank! I liked Shabby Apple on Facebook. I love the yellow Shakespeare Garden dress. I like SA on Facebook. I love the Viola swimsuit...I hadn't seen that one before! I have "liked" both Shabby Apple and DIY Divas on Facebook. My favorite dress is the L.A. Love the cut and the color! I like Shabby Apple on Facebook (WinItMama WINS) and my favorite dress is "Tea Time." I like SA on FB and I love the Cascata Swimsuit! I follow you via twitter and tweeted about the giveaway! I like shabby apple on fb (bell martin). My favorite dress is the Desert Blossom. I like shabby apple on facebook and I love the cotton candy apple dress! I like Shabby Apple on FB and I love their red CEO dress. So severe and stylish. I liked SA on FB as ANI G W and I love the kids Boho dress. pina colada dress! i like them on fb! thanks! Like Shabby Apple on Facebook. Too many great choices on their website, but VP is one that stands out for my body shape. i like you on facebook! i shared and tagged you on fb! i like shabby apple on fb(tina wofford page) and i like the Notte Stellata swimsuit. i didnt know they sold swimsuits! how exciting! I like shabby apple on fb (Jennifer Messner M). I would like to get the Amalfi swimsuit! "Like" Shabby Apple on Facebook. FB name = "Vicki Vix". This should have gone in my first comment where I stated I liked Shabby Apple on Facebook as "Vicki Vix". My favourite dress is the JOIE DE VIVRE. "Like" DIY Divas on Facebook - Vicki Vix. Follow you via twitter - @FromFurrin. I love Shabby Apple! I liked them on FB and I liked Do It Yourself Divas and I shared the giveaway info on FB. I would love the Matinee Dress! Love it. I like Shabby Apple on FB as Holly Storm-Burge & I'd love the Red Fox dress. Thanks! I liked and also I like El Capitan. I like the summer wind dress. Thanks for the awesome giveaway! like" Shabby Apple on Facebook. I like the Tanglewood Dress. i liked shabby apple on fb and favorite is their bathing suits. FB fan of Shabby as Jay Coupon and I love the Ahoy Dress!! I like Shabby Apple on FB and love the Going Steady dress! I like you on FB and shared! Liked Shabby Apple on Facebook. Kristie Morrison Donelson. I love the Candy Coated Pearl Necklace. So pretty! kristiedonelson(at)gmail(dot)com Thank you. It would be easier if you provided buttons for sharing. I also liked you on Facebook. Kristie Morrison Donelson. I liked SHabby Apple on Facebook and my favorite dress is the Going Steady. Bonheur Dress. I must admit, I thought they only had dresses. Glad you sent me to their site! I like Shabby Apple on FB (Amy H.), and my favorite dress is Twin Palms! I like Shabby Apple on Facebook, and I love the Ballerina dress! I liked the on FB. I really like the Peru dress! I like Shabby Apple on facebook, and my favorite item is the Giverny dress! I like Shabby Apple on Facebook, and a couple of my favorites are the Ahoy Dress and the Viola Swimsuit! I like Shabby Apple on Facebook as Jason Rubio and I would get the G Cooper dress. I love the classic shape. I like Do It Yourself Divas on Facebook as Jason Rubio and shared the giveaway. Liked Shabby Apple on FB... REALLY like the One for My Baby dress! I like Shabby Apple on facebook as ( Kirsten Perez ) and my favorite is the South Pacific New Caledonia dress.